Wednesday, 30 January 2019, 11:30a.m. 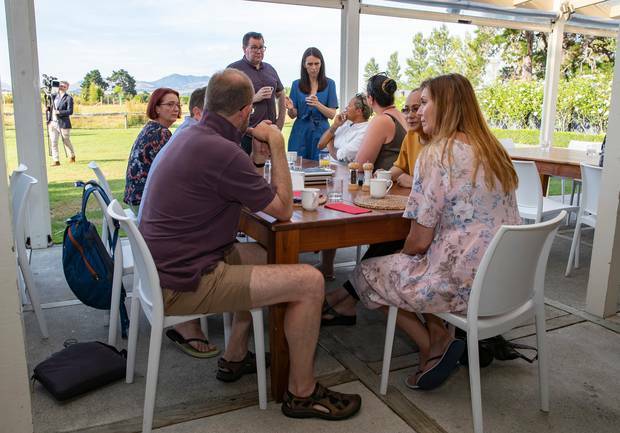 Informality ruled at Labour's caucus retreat in Martinborough before Jacinda Ardern got down to business and declared 2019 a critical year of "delivery". Workplace Minister and former union official Iain-Lees Galloway is in a T-shirt saying "I'm the boss guy". Willie Jackson effuses about the tennis in Melbourne where he watched Roger Federer being knocked out by a young Adonis. Speaker Trevor Mallard not only turns up, which is unusual - he doesn't normally go to caucus - but he has turned up in sharply ironed Bermuda shorts and a Hawaiian shirt. The Prime Minister cooed over baby Neve in the arms of one of the grandmothers. When breakfast was over and Ardern decided it was time for MPs to get under way, Neve was taken to wonder at the climbing roses covering the garden wall. Local list MP Kieran McAnulty and Ikaroa Rawhiti MP Meka Whaitiri did the honours of welcoming the caucus to their patch. Ardern continued the informality, eschewing the lectern with carefully placed microphones which were to pick up her opening remarks. "2019 I think for us as a team is going to be characterised by the word delivery. "2018 was obviously a huge year for us, bedding in as a new Government, setting up the infrastructure for a significant change in direction for New Zealand, reinvesting in those core services, in health and education and housing through our Budget, setting up what is required to turn around the degradation of our waters. "That work has now been set in place - 2019 is now the year that a lot of delivery will be required of us and is already under way." Areas for special mention included the child wellbeing strategy, the housing programme, the Tax Working Group report, mental health and the zero carbon law. "There is a long list of areas where we are rightly in delivery mode and that makes it an incredibly critical year." 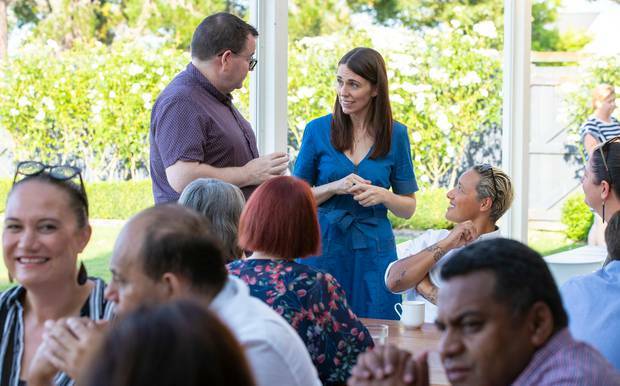 Ardern gave a personal rundown on her trip to Europe last week and the interest the rest of the world has in New Zealand and the new Government and its policies including the wellbeing Budget. "For us domestically, it doesn't really matter what the international community thinks or says, It only matter what we deliver. I only matters what we do here for the New Zealand public and New Zealand voters. That's what counts." She said there was much to be done and she would be "harking back" to the agendas of previous Labour governments. "We do not claim perfection but we do claim a considerable advance from where we have come from."